It feels appropriate to start the year with something blingy and shiny, because blingy and shiny things always make me feel happy. 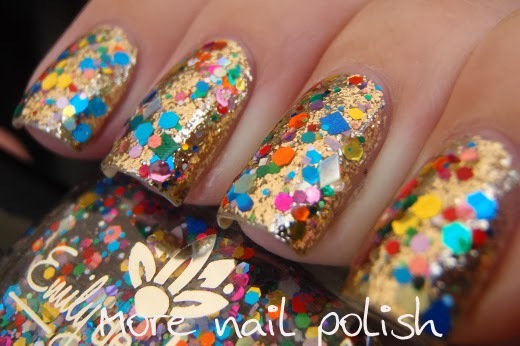 I actually wore this mani just before Christmas and at the time I felt like a bunch of coloured Christmas baubles had exploded all over my nails. The base is Lacquistry Amazeballz topped with one coat of Emily de Molly Remnants Returns. 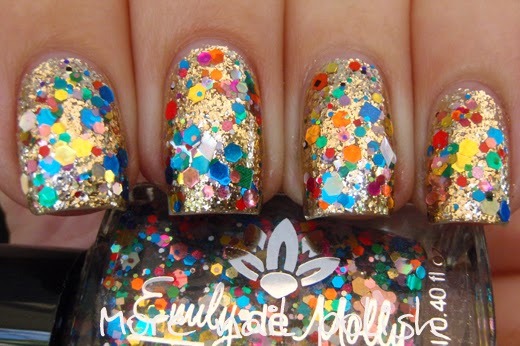 Remnants Returns is a super bright mix of coloured glitters and a range of shapes. I love your page. It's so trendy. Yes - I've love to see the combo on you too! what a beauty! i thought amazeballs was silver? or are there two options? i need it for sure, even more so if its gold! this edm looks promising too! Amazeballz is definitely gold, but it's a cool toned pewter looking gold. 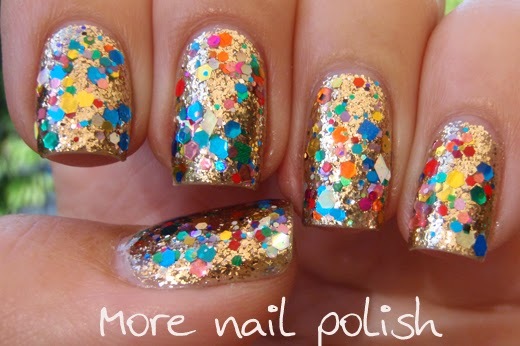 If you like gold polish, you must get it.